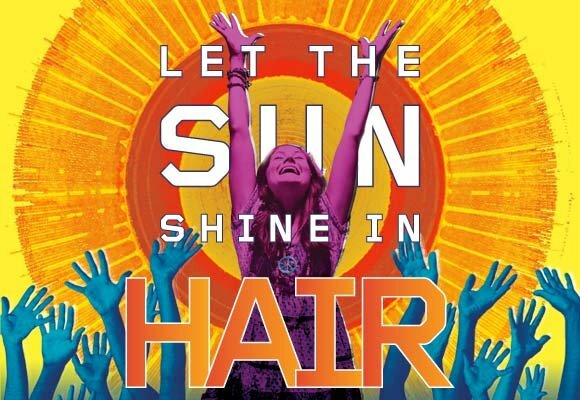 Yesterday, I saw a preview performance of the new revival of Hair on Broadway. The last time I experienced the play, I was –2 months old. That’s no typo. My mother was seven months pregnant with me when she saw the original and claims that I was kicking like crazy throughout. Funny, I always get a nostalgic feeling whenever I hear the music from the play, and have tried several times to see it over the years. The first was in college, when my school put on a production. Unfortunately, it was either cancelled, or I got sick—I can’t remember which. I just remember being pissed. I tried again last summer for the free concert in Central Park, but unfortunately, the tickets were sold out. Some friends and I tried to watch from the rocks by Belvedere Castle, but were kicked off by security. So when my mom told me that she had secured tickets, I was thrilled and felt that I was going to receive some closure to this chapter of my lifelong struggle (kind of like conquering The Legend of Zelda with my brother a decade after my parents took our Nintendo away from us, but that’s another story). The moment I stepped on the subway to go to the show, a black woman with a shopping cart sitting right next to where I had gotten on stood up to let everyone know that God loves us and a few other pointers we could pick up by reading the Bible. I was on the subway with her for another three stops, but she never uttered another peep to the other passengers getting on the train. While it didn’t strike me at the time, the scenario is very similar to one that happens in my currently unedited trilogy, The Layman’s Answers to Everything*. In the book, it’s a Jamaican woman on the subway who’s a bit more judgmental in her proselytizing, but the basics are the same. (For the record, that section was written back in 2003.) 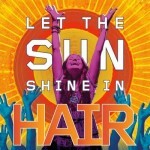 The scenario happens right after a chapter titled, “Let the Sunshine In,” which is named after a song from the play Hair. Out of 50 chapters in the three books, I found this pretty interesting. Even more interesting though, is what happened after I got off the train. I had bolted up the stairs pretty quickly and once on the street, passed a woman who I overheard say something to the effect of, “everything’s going to be all right. He’s watching over us.” When I turned around I saw that it was a black woman with a knitted cap and a shopping cart. At first I wondered how the heck she’d beaten me up the stairs, but then realized it was not the same woman! I’m not sure if this is another one of those subway angels I seem to be coming into contact with lately, or if there is some kind of Black Women With Shopping Carts religious revolution I’m not aware of. I could’ve sworn the first woman was wearing a knitted cap too, so maybe it’s part of their uniform, like the red berets of the Guardian Angels. Anyway, be on the lookout for elderly black women with shopping carts wearing knitted caps. They might have a message for you. The message for me however, seems to be that everything is happening as it should, or at least, as it happens in The Layman’s Answers to Everything. It kind of hit me last Sunday as I was giving a presentation at a book signing for The Myth of Lost**, my book about the hidden spiritual messages of the hit TV show. As I was speaking, I thought of the Layman story where the protagonist is also doing signings and presentations to promote his book about hidden spiritual messages in TV shows. The time period in Layman when this is going on is around November 2008, yet, it was actually written four years earlier. In other words, I was writing about a fictitious future. Perhaps even more intriguing, the idea to write a story about hidden spiritual messages in TV shows came to me around 1999—about five years before Lost premiered. No joke. What is definitely no joke is what happens to the world in the Layman book during this timeframe. While I began writing the trilogy in 2002 and finished the first draft (of all three) in mid-2005, there is a lot in the story that is eerily prophetic of today’s situation: a collapse of the world economy, the emergence of the green revolution with a focus on reusable energy sources to replace oil, world floods, food epidemics and shortages and more. There are also a bunch of things in the books that are too fantastical to even speculate on. To be honest, when I originally wrote them, they were meant as more mythological metaphors, not really to be taken literally. Now, I’m not so sure. (Actually, around the time of Hurricane Katrina and the Indian Ocean Tsunami is when I became unsure.) Whatever happens though, whether it be tomorrow, in 2012, or if ever, I feel like the messages I received today are letting me know that it’s going to be all right. And I just thought I’d share that with all of you. Something’s coming. Something big. I think whatever it is, if we approach it the right way we’ll be able to use it for the ultimate betterment of mankind. But there is no doubt in my mind that it’s going to take some challenging times and hard work to get there. All I’m saying is, buckle your safety belts and hang on, we’re in for a wild ride. But like most terrifying roller coasters, if we can step off in one piece, not only do we feel exhilarated, we feel stronger than we did before. Stronger because there’s one less thing we’re scared of in this world. One less thing that will stop us. Whatever happens, I’ve received a message that we’re gonna get through this, and that’s enough for me. My friends, this truly is the dawning of the Age of Aquarius. Let the sunshine in. We starve-look at one another. Short of breath. Walking proudly in our winter coats. Wearing smells from laboratories. Facing a dying nation of moving paper fantasy. Listening for the new told lies with supreme visions of lonely tunes. PS: For those of you who would like more information about what’s going on with The Myth of Lost book and why I always seem so busy even though I’m done writing, editing, and creating it, I invite you to explore any or all of the links below that have occurred since the last update (December 2008). The Myth of Lost featured in IC View’s “Turn and Spin” Volume 26, Number 4 (Fall 2008; issued December 31, 2008) I don’t believe this is posted online, but if anyone can find it, please let me know. Chris McLeod Interviews Marc about Lost on FM96!